"I totally LOVE my bag. The moment I added my items in my bag, it has people turning heads and asking what I have. Inside the bag holds my WORLD - my personal, kids stuff and my business. THANK YOU! 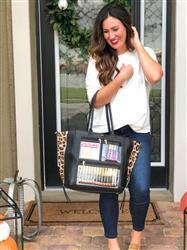 THANK YOU for this"
"I love my new Crossbody, it’s classy and displays my products perfectly!" 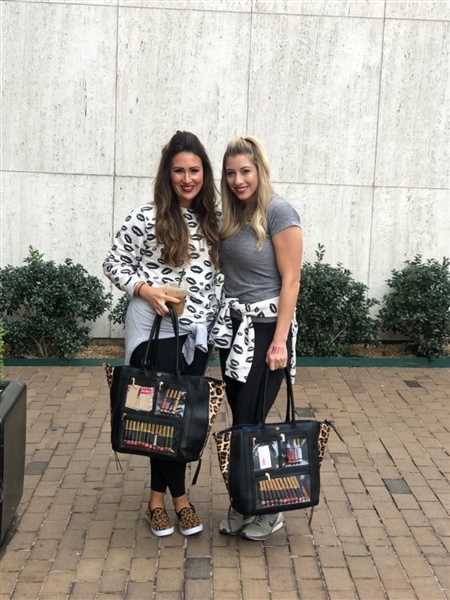 "During the pink Friday sale i was able to gift a bag to a teammate who excelled in the month of November and we are both obsessed! I took it to target with me and had the opportunity to meet new customers + show off lipsense to many new people. The bag is strong and sturdy and feels very expensive compared to a Kate Spade or MK bag. Super spacious as well! " "The tote is gorgeous! High quality materials and you can tell it’s well made! I felt it was a little bigger than anticipated (depth wise) and if you get too much stuff inside you might be digging around for certain things, but the outer and inner pockets are great for the essentials like keys and phone! It wears comfortably on my shoulder with my products well displayed! No complaints!" "I am somewhat of an introvert. This bag has changed my business! I am working smarter and not harder. 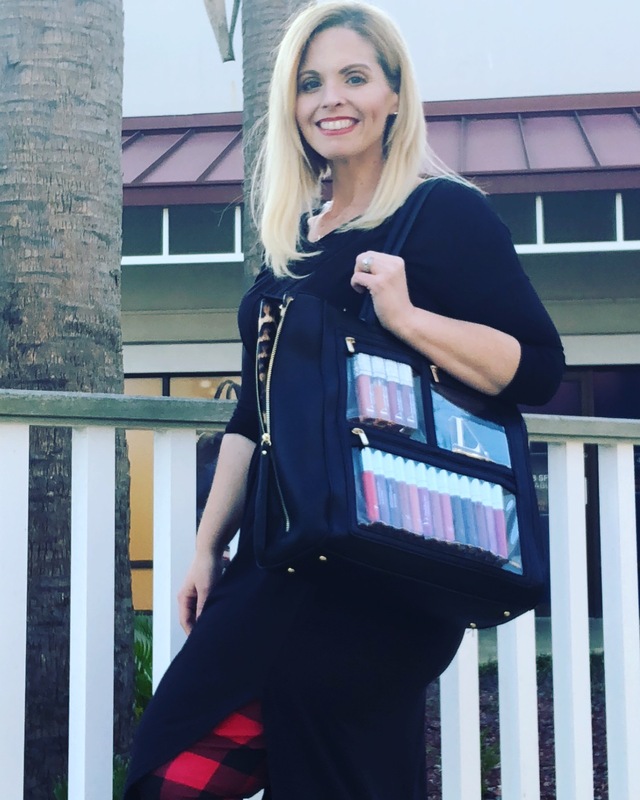 People ask me all the time about my products and my business as I am out and about which gives me new clients and leads and often leads to sales even while I am out running errands! Just another way to break the ice, create conversations and get leads as I am going about my day to day. Also, the quality and details of her bags are perfect! I am impressed at the quality for the price! " "I LOVE my presentation bag. The room it has is incredible and the pocket windows to be able to display literature and things is great." 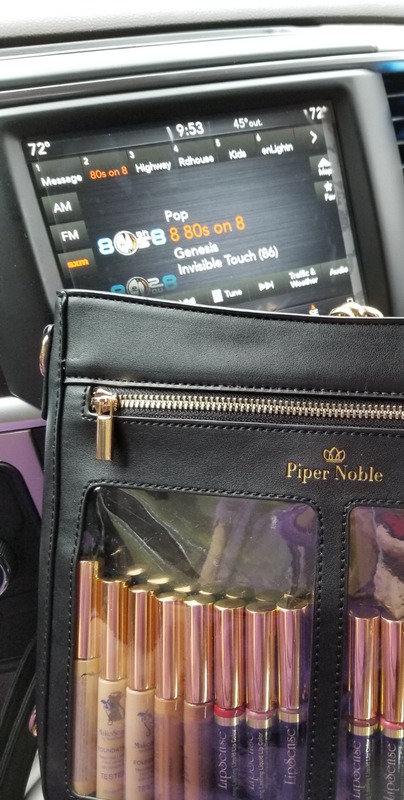 "I love my Piper Noble Pippa Presentation Tote! Its the perfect conversation starter for my on hand Color Street inventory. It’s also roomy enough for my personal belongings, teacher materials and items for my toddler too!! Thank you!" "I love it! It’s the best business tool and investment I have made in a long time. I HIGHLY recommend using it and buying it. 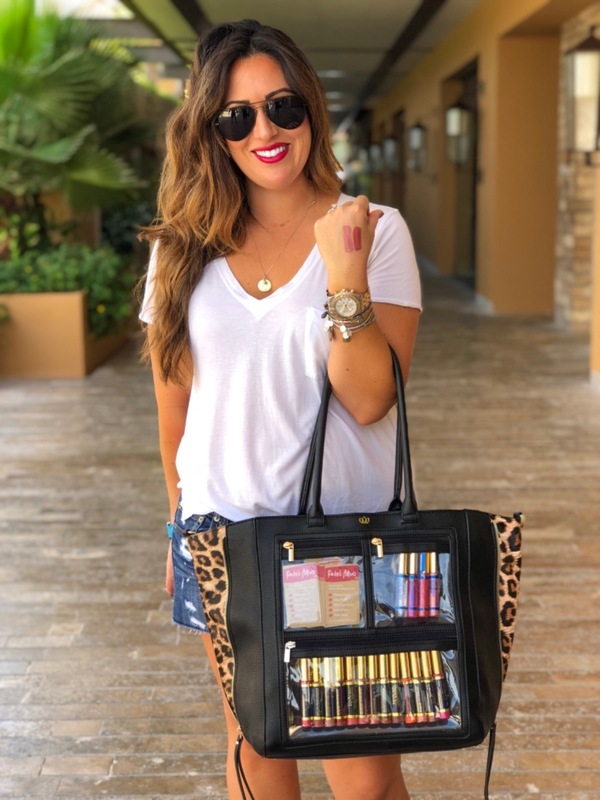 Brandi "
"The bag is very nice and well put together I found it to small for what I need but it’s good for a few hours of being out. " "Love my bag! Such good quality and I got it so quickly! It’s a pretty fabulous way to advertise my product, carry it around with me, and also feel stylish. " "I’m absolutely in love with it. It’s so versatile and so much more convenient to take places than my giant wow tote. I also have a bad habit of overloading bags, so the size is perfect and never hurts my shoulder from being too heavy. " "I absolutely love the design!! It is an attractive, classy way to market your business!! The bag is very spacious and durable!! " "So woth it! I absolutely love this bag. It is gorgeous and well made. I love how spacious it is, yet it is not a lack hole. I can see and access everything quickly. My products look beautifully displayed. Perfect!" "I’m loving my Piper Noble bag! It displays my nail wraps well without looking overly “salesy.” I just look like I have good taste!" "So roomy and I get tons of compliments! I also get more random sales from having my product there to see!" "I absolutely Love this bag! It’s so beautiful and well made and at such a fair price point! All of her bags are so quality and well thought out! I am A huge fan!" "Love love love ❌ INFINITY! Thx!!" "I adore my new bag! It is just the right size for me, the pockets are placed just perfectly for me to keep it organized, and I don't lose anything inside it! The pockets display the product wonderfully! Only thing I noticed is that my pamphlets fit in the back pocket perfectly, but the opening for that pocket is slightly too small so I struggle getting the pamphlets inside. " "I just got my new pink bag today. I can't wait to organize it and show off my products "
"The Meghan convertible is everything I've been looking for in a WOW bag! Lightweight, roomy, versatile, adorable...everything!!" "I love my new bag! 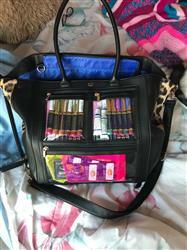 I've been wanting to get a new purse but also wanted something to show my Senegence products as well and this is perfect! The quality is amazing. The size is great too. It makes me feel high class just holding it lol." "Gorgeous!!! Incredible quality - I love it!!! 5 stars all the way! Its a home run!" "It arrived sooner then expected 😊 and I really love it. It has plenty of room for what I want people to see and for my personal belongings to. Great investment!" "LOVE my piper noble bag! The shipping was super fast and the quality is amazing! I get so many compliments on it!!!" "It’s seriously perfect!! It has so much room. " Great bag!! And wonderful company! 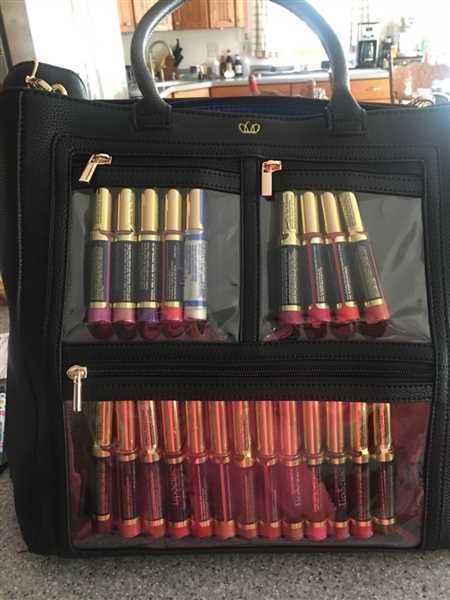 "This bag is truly so good! Not only does it look fabulous, it's perfect for me to carry and display my products AND still have room to pack all the things I need while out and about with my son! I did have one issue with a pull on one of the zippers, but customer service was so helpful and easy! They fixed the problem very quickly! I would definitely repurchase from Piper Noble and highly recommend it!!" 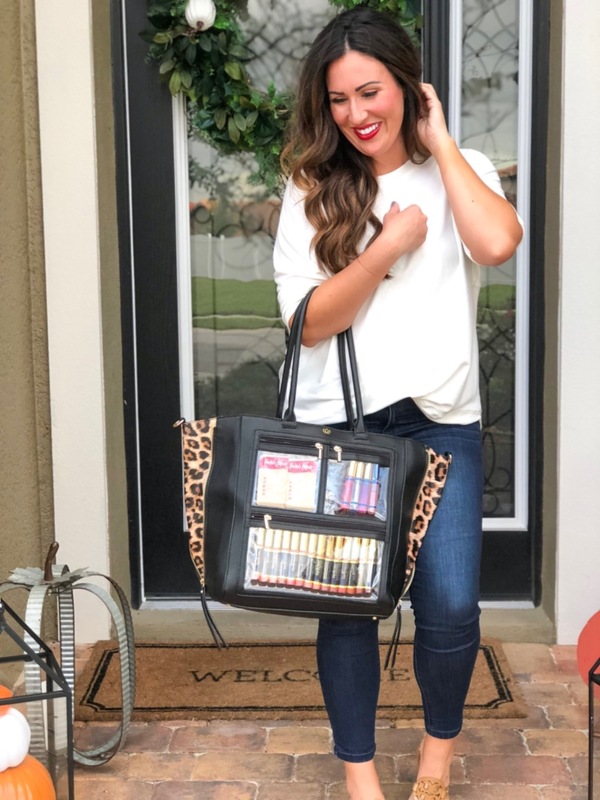 "I’ve only had my bag for a short time but I get attention from people who would have no idea I’m in business and it holds all my stuff that I normally lug around to boot! Love it!!!!" "This far exceeded my expectations! GREAT quality and is absolutely beautiful! " "I love this bag it has I very high end look and has plenty Of room and compartments"